Dan’s Fish Skins Pattern Forceps are an indispensable tool for removing the fly from trouts mouth and multiple other jobs on the stream and off. 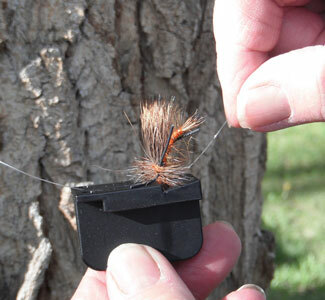 Shown is the Brown Trout Forceps with the matching clipper. See below the Rainbow and the Brook Trout. 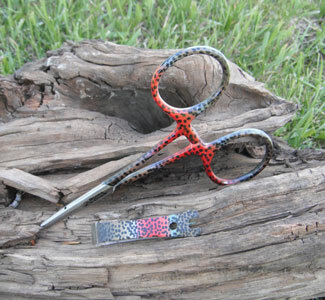 These forceps are durable stainless steel with large finger loops and fish scale prints of Brown Trout, Rainbow Trout, or Brook Trout. 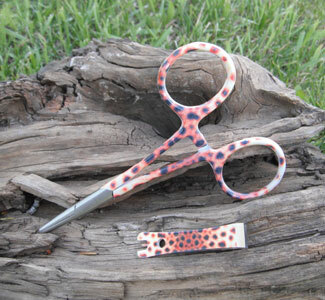 Also shown in the picture are matching printed Nippers for cutting tippet. 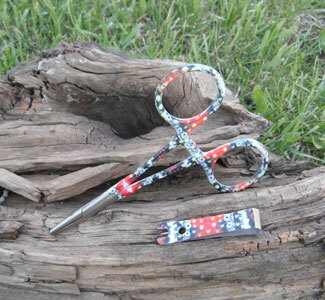 Incorporated in the end is a needle point to clean the eye of your fly. 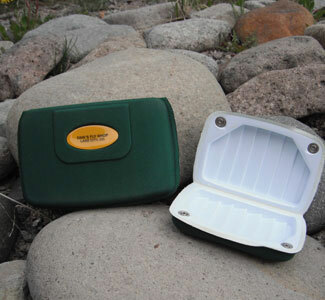 They are not only very useful they are a fun gift for any fisher persons on your list.